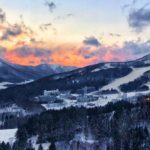 Japan Travel Diary: Four Seasons Kyoto – Christing C.
It was love at first sight for my family and I when arriving in Kyoto. 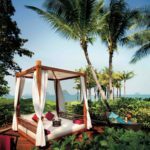 The nostalgic wooden house lined streets, serene and relaxing gardens, delightful eateries, and blooming nature made the perfect backdrop for a relaxing getaway. 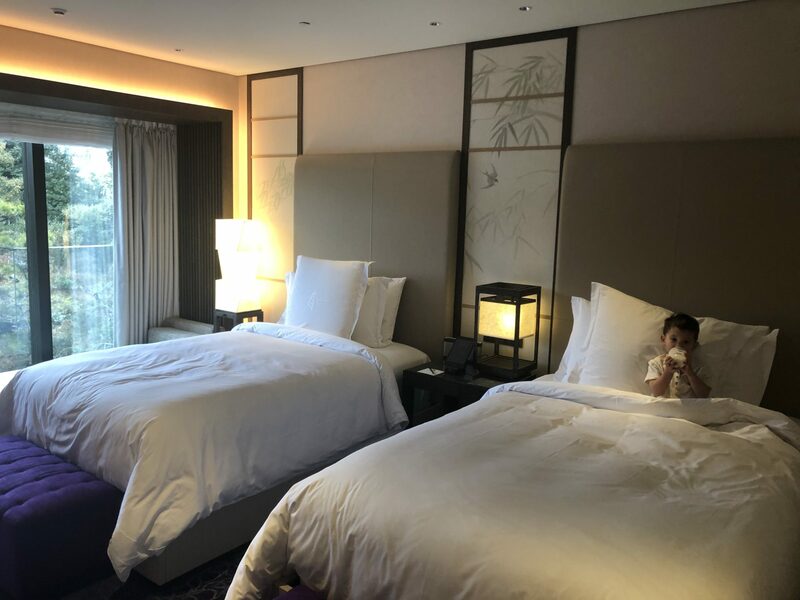 Four Seasons Kyoto proved to be an incredible highlight of our stay and offered luxury at the heart of this beautiful city. 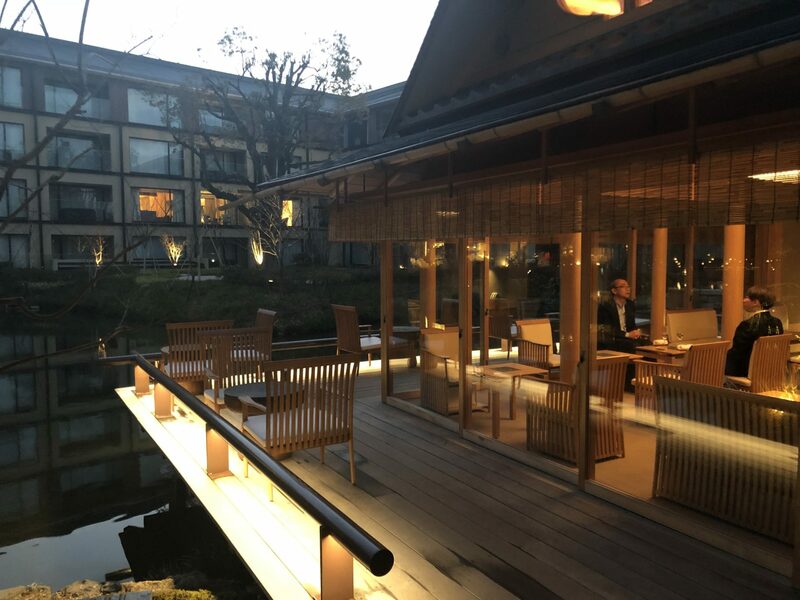 We loved the contemporary design alongside traditional touches and the alluring authentic Japanese garden which housed an 800 year old ikeniwa. The kids spent hours feeding the koi and observing the swans and couldn’t get enough of the quaint and quiet paths. Our one bedroom suite included a luxurious lounge and dining area, decadent bath and plush bedding. 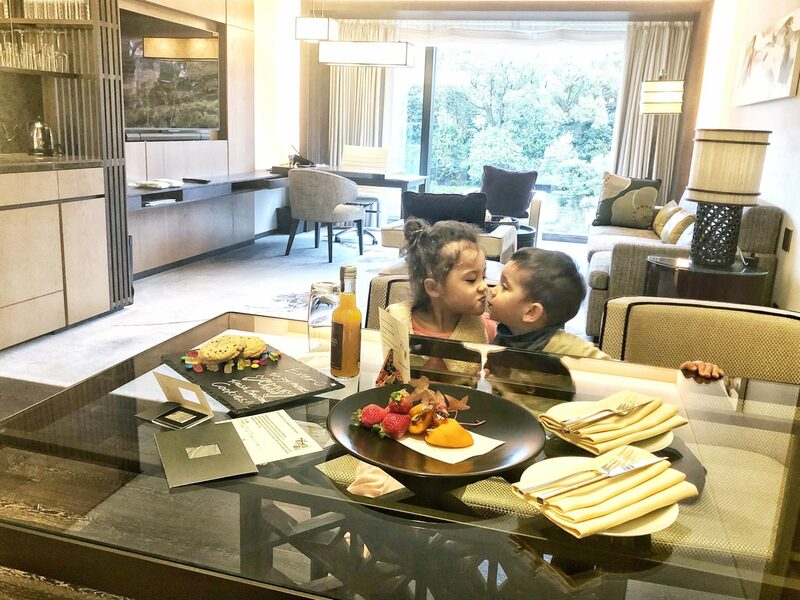 Five star service and amenities were evident throughout our stay and we loved the convenient yet private location. 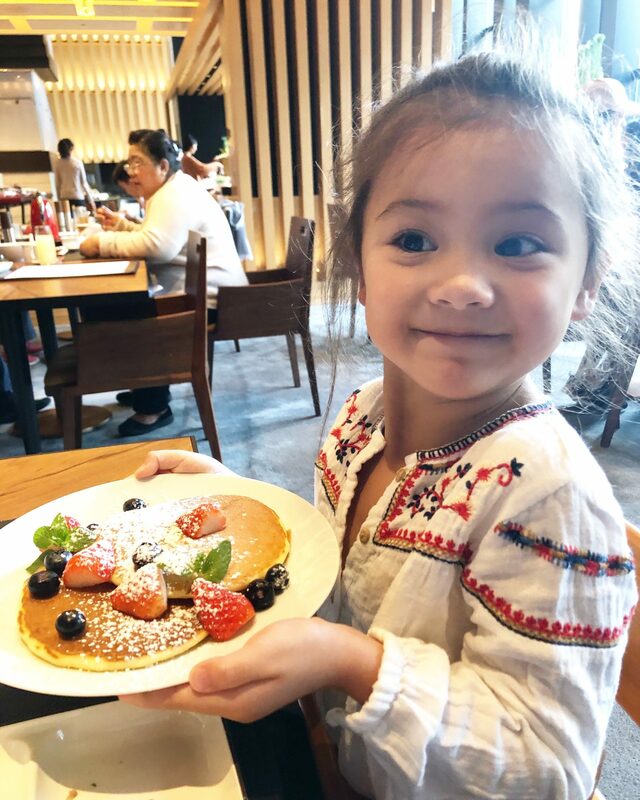 Mornings were spent indulging at their impressive breakfast buffet before exploring the streets of nearby Gion. 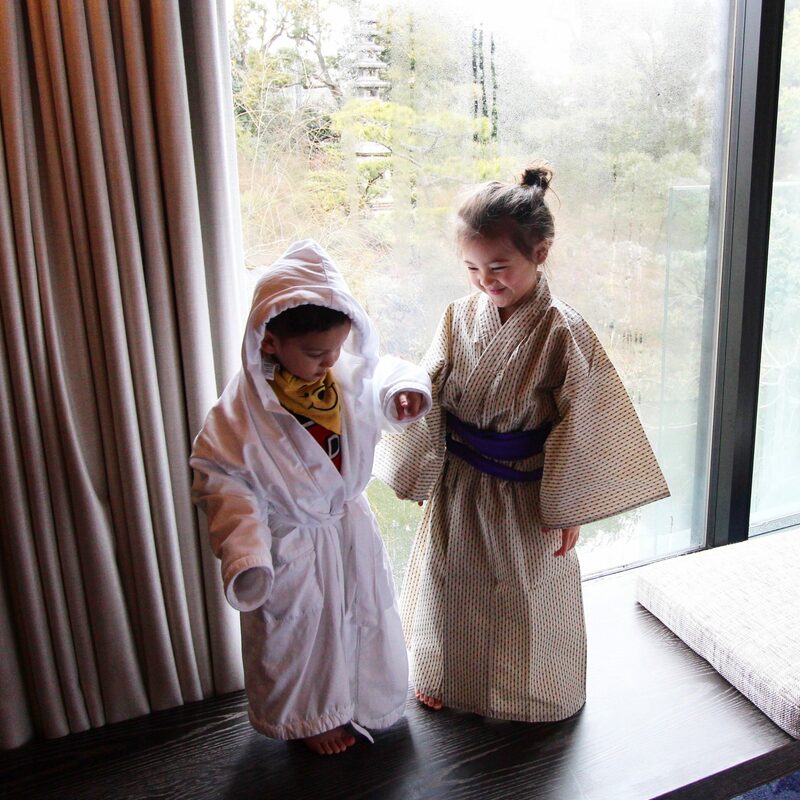 We returned in the afternoon to take advantage of the refreshing indoor pool and full service spa before heading to their traditional tea house for snacks and sake. The Brasserie was perfect for family dinners with a cozy atmosphere and varied menu full of fresh, local produce. 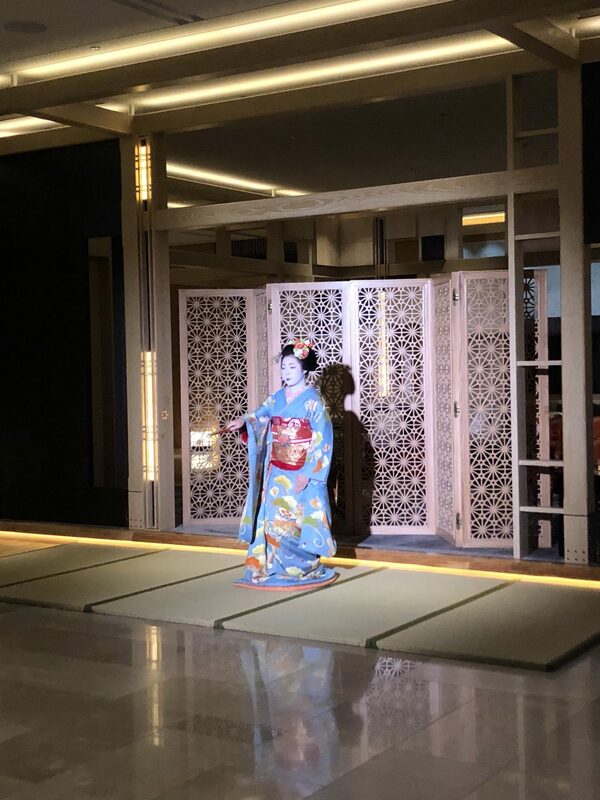 We were lucky enough to be staying on a night where a live geisha performance took place in the lobby and our children even had the chance to meet her for a photo opportunity. 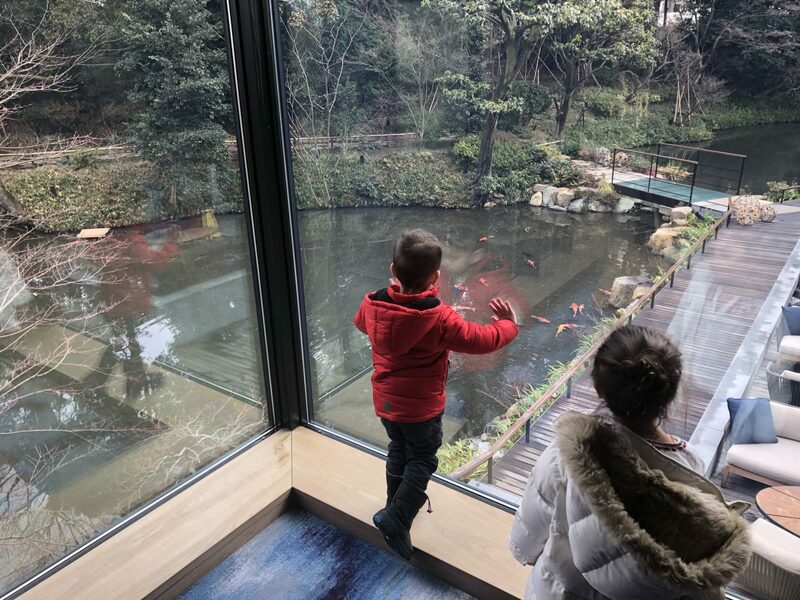 We highly recommend Four Seasons for families and couples looking for luxury and impeccable service while visiting Kyoto.